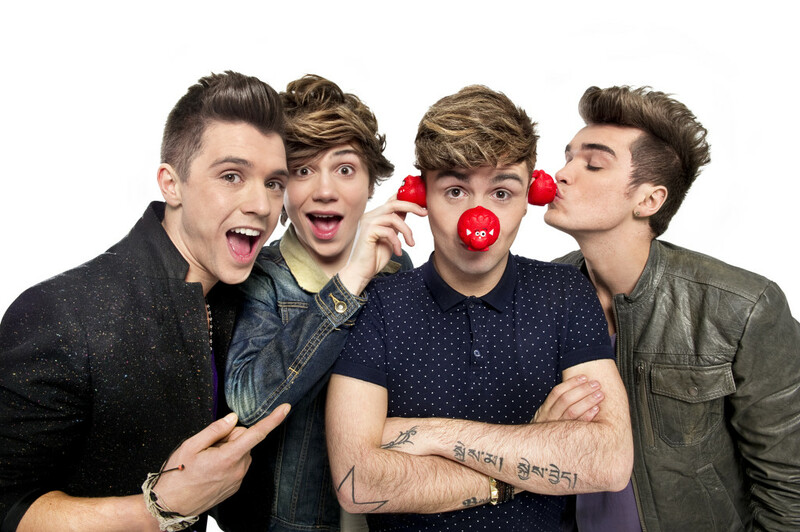 Red Nose Day! What’s on? Red Nose Day is on the way and there’s loads of stuff going on to keep you entertained and donating money! All types of celebrities are getting involved with the Red Nose Day to try and get you to donate money to the good cause. Jessie J will be shaving her head for charity! Click here to find out more! One Direction are also getting involved and will be releasing the official Red Nose Day single! Click here to find out more! The main TV show is happening on Friday 15th March on BBC 1 and there’ll be loads more celebs such as Michael McIntyre, Rob Brydon, John Bishop, Zoe Ball, Lenny Henry, Davina McCall, Jack Whitehall,Nick Grimshaw, Jonathan Ross and Claudia Winkleman making you laugh and raising money for charity! Click here to find out how you can raise money for Comic Relief this year too. Go to the next page to see the Red Nose Day t shirts and noses! Red Nose Day is famous for making money by selling its silly red noses. The noses this year are all dinosaur themed and there’s 3 to choose from. You can get your nose from Sainsbury’s, Sainsburys.co.uk, Oxfam or rednoseday.com! 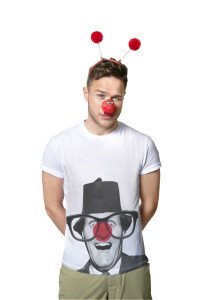 Also this year, you can get very special Red Nose Day t shirts from any TKMaxx or rednoseday.com! Check out Helen Skelton from Blue Peter sporting one of the t shirts and all 3 noses!